Refugees skate their way from the camps to the center of Athens! Alex is the owner of the Ministry of Concrete in Athens. Some time ago, the shop was about to close and an old stock went for sale. Fortunately for us, things changed, the shop stayed open and got transferred in the center of Athens (Axarlian Dionisiou 3, Syntagma). So, Alex, apart from an honest businessman (honest businessman = someone who seeks to make his customer happy and stay this way even after he leaves the shop), he is also an honest person. 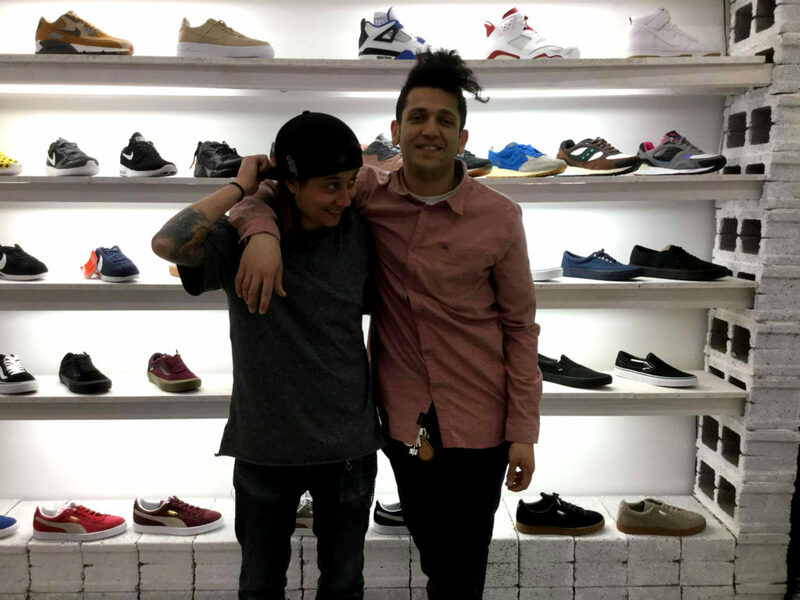 When the shop opened again, instead of selling all at once the old stock -something that most people would do- he decided with Theoni to transform it into a good cause: for every three pairs of shoes they sell, they are donating one to the kids participating in the Free Movement Skateboarding. But what is that? 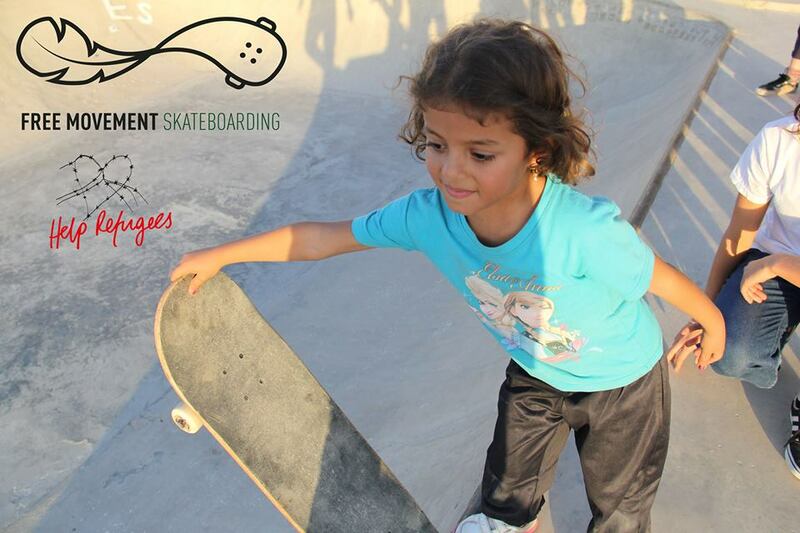 It’s an initiative aiming to teach skateboard to the kids of the refugee community. Will and Ruby met in Palestine, where both of them were volunteering to such projects. When Will came in Athens, he saw the great need of young refugees to channel their energy somewhere. He spoke with Ruby, came back to UK and started fundraising in order to return together in Athens after some months and setup the project. 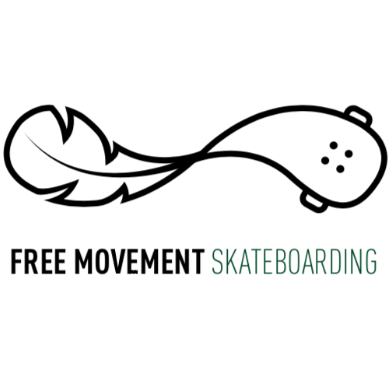 The Free Movement Skateboarding is connected with 4 camps and is already giving lessons to kids from 6 to 20 years old. Ramps and equipment are being moved around with a van, while the two of them are still searching for Greek sponsors and people who want to volunteer as teachers. For those in doubt, I assure you the benefits are many. For starters, consider that most of the activities provided to refugees are aimed to very young children. There is a gap for the ages between 15 and 20, teenagers who are bustling with energy and have a great need to channel it somewhere in a creative way. “Exactly, that is what we heard from so many people!”, says Will. On the other hand, drawing their attention to these lessons, their mind is taken away from the trauma of the previous period. So, both the physical exercise and the intellectual /creative side of skateboard make it an ideal sport for young people of that age. On the other hand, Ruby told me something truly exciting: by teaching skateboard in the Arabic communities, she observed an overwhelming gender equality towards it. You see, there is no prior contact with skateboarding in these countries and therefore people don’t know that it is mainly a male-dominated sport. So boys and girls show the same interest in skateboarding and approach it with the same ease. And now let’s talk about integration, since these kids come in contact with local teachers. When trust is gained, the project could be transported outside of the camps, away from institutionalization and close to the streets of the city, with more and more Athenians creating a strong circle of socialization around skateboarding. And just like we said: You are going to buy some shoes at a certain point. 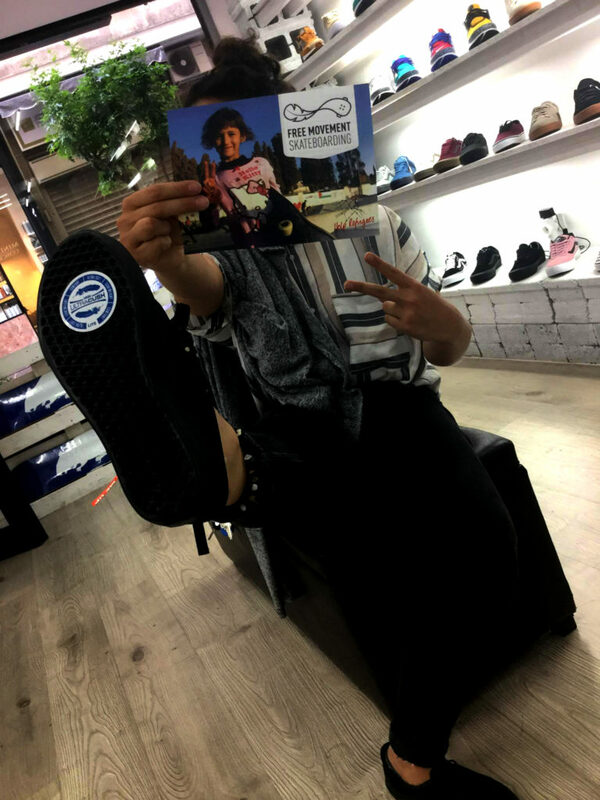 Why not get them from the Ministry of Concrete and know that one in three pairs will end up on the feet of young skater boys and girls sweeping all over Athens in some time? I know I did!